Wrigley the Easter Dog wishes you all a wonderful Easter! Ah! 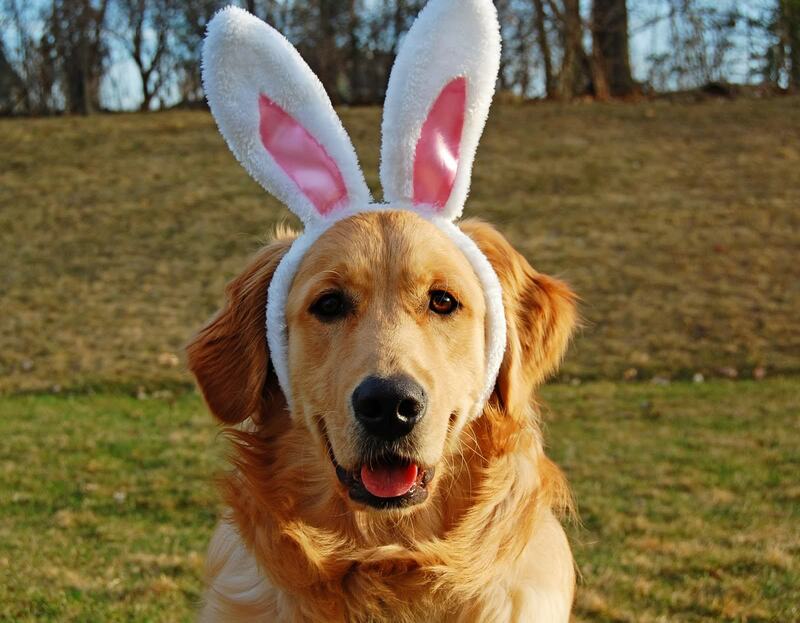 I love the Easter dog… Please train him to poop jelly beans (I swear my obsession with Easter animals that poop jelly beans is all HOP's fault). That is just adorable!!! Happy Easter! This is just too cute for words! Hope you and your family have a wonderful Easter! This is such a cute picture! Happy Easter to you too! Can Wrigley be ANY cuter!?! Happy Easter, friend! Love this! Wrigley is adorable 🙂 Pretty sure if I tried this with my yellow lab, Kobe, it would not turn out this good! He would eat the ears! what a cutie! Have a wonderful Easter! Love the "Easter Dog"!! Have a nice weekend…….don't eat too much candy! Wrigley looks so cute. What a good dog. Happy Easter!! See you tomorrow. How adorable!!!! Have a wonderful Easter!! he is so adorably cute I just can't stand it. Happy easter y'all! Ahhh! So cute! Wrigley handled the bunny-dog ears much better than my babies did. You should see the looks of hate I got when the ears came out of the closet. They're traumatized. And I can't stop laughing. Does that make me a horrible dog mom? !